So I've decided that I'm going to be more responsible and I'm going to pre-type a bunch of posts so I always have a new post up everyday. School has been consuming all of my time and my energy so I haven't been active lately. I figure that the best time to type is during the weekend so here I am coming to you from the past... or the present? I'm not sure but lets get into todays topic. However, since I'm behind on the books I still need to read all of these. This list will definitely change because I can never stick to a plan but I'll try! It's good to have a plan. It's good to veer away from it sometimes, too. So many books on your list that I want to read! Queen of Shadows is the only one that's actually on my autumn TBR though. That is a great list! Most of them are on my TBR list, as well. The Darkest Minds is an amazing series, I hope you have time to get to it soon. Alexandra Bracken has become one of those authors that I will automatically buy whatever she puts out. The Unbecoming of Mara Dyer is also an amazing book, but definitely have the next book ready before you finish it! Loooooved The Darkest Minds, The Wrath and the Dawn, The Winner's Curse and Queen of Shadows! I didn't care for Mara Dyer. I liked The 5th Wave, excited for the movie! I still need to read The Raven Boys and I'm excited for Walk on Earth a Stranger, the cover is SO PRETTY! Nice list! 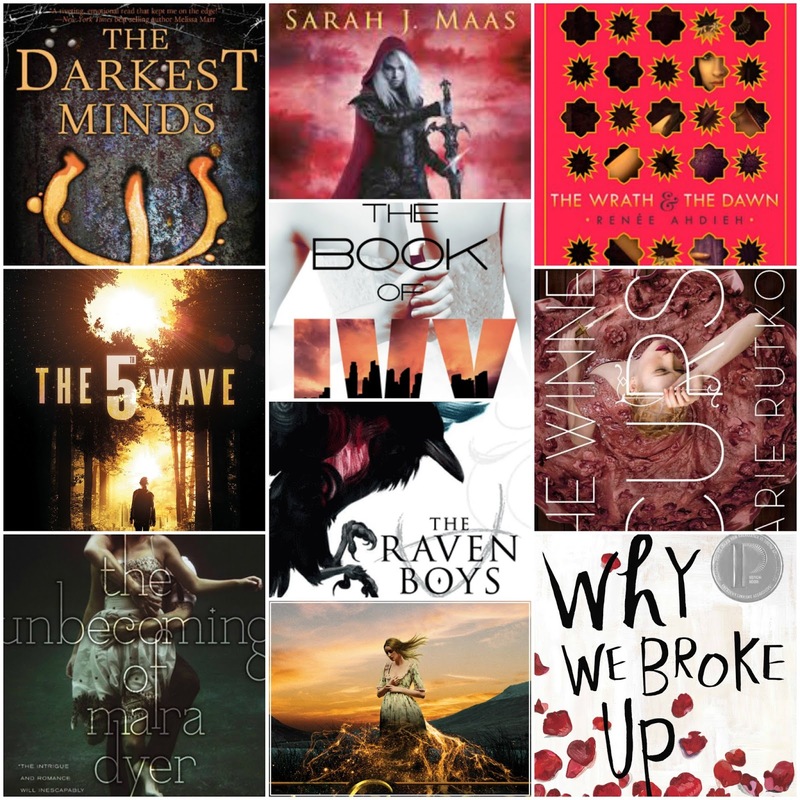 I love so many of these books, but I have to say that Queen of Shadows and the Wrath and the Dawn are two of my favorites! I really want to read Walk on Earth a Stranger as well! I hope you enjoy all of these :) thanks for stopping by my blog! I've been thinking about starting The Darkest Minds for a while now. The Winner's Curse is really good!